According to the CDC approximately 600,000 people die of heart disease in the United States every year. There are small changes you can make to your daily life that may have a big impact. Increasing fiber intake by adding a serving of fruit or vegetables to two meals a day, reducing your sodium intake, drinking adequate amounts of water every day, and gradually increasing how much you exercise to 30 minutes a day 5 days a week can go a long way toward improving heart health. There are also a few supplements that may improve your heart health. Coenzyme Q10 is essential for normal cell function but is usually produced at low levels in our bodies. Supplementing with CoQ10 may help support healthy blood pressure, improve symptoms of congestive heart failure, and reduce potential for negative side effects of a class of cholesterol lowering medications known as statins. While CoQ10 is often associated with supporting improved function of heart muscle it will have benefits for all muscles. It is important to use a product that is free of crystals and is professional grade like our CoQMax Crystal Free formula. Fish oils with omega-3 fatty acids have been shown to reduce triglycerides and may also improve blood pressure, and decrease inflammation that leads to damaged blood vessels. The American Heart Association recommends adults have at least two 3.5 ounce servings of fatty fish (i.e. trout, salmon, and tuna) weekly. Omega-3 fatty acids may also reduce joint inflammation, support immune function, improve skin health, and improve brain function. 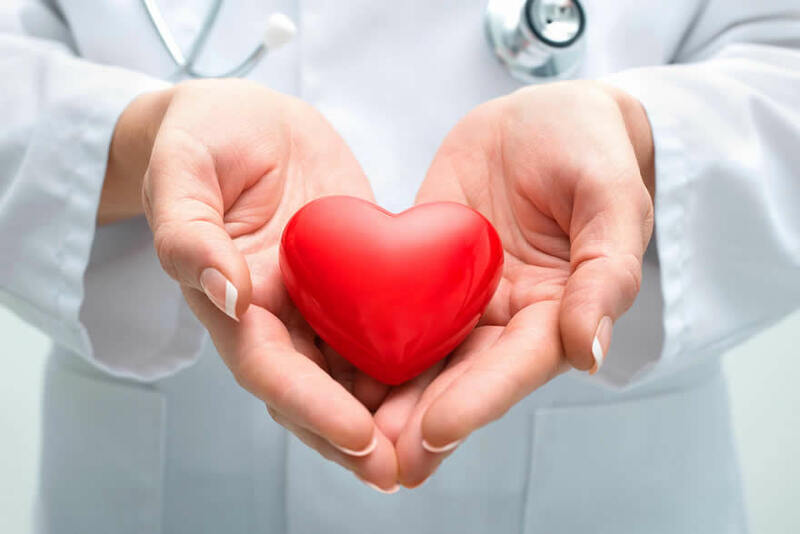 If you aren’t able to get enough omega-3 fatty acids from your diet supplementing with a professional grade product such as our OmegaPure products can be beneficial on your journey toward improved heart function and overall health. Or you could try Xymogen’s new MonoPure product which is three times more absorbable so you can take fewer softgels. If you eat a diet high in meat and low in fruits and veggies you may have high homocysteine levels. Homocysteine is an amino acid in the blood which at high levels may lead to increased risk of heart attack and stroke. This also means your body is probably depleted in several B vitamins which it uses in several chemical pathways to keep your body functioning optimally. B Complete is a product that may help maintain healthy homocysteine levels and give your body the B vitamins it needs to keep your heart healthy and happy. Finally the molecule nitric oxide is a molecule produced by our bodies. It is essential for normal cell function, plays an important role in keeping our blood vessels pliable, may improve blood pressure, circulation, and inhibit formation of arterial plaques. Unfortunately as we age there is a progressive decrease in how much nitric oxide we produce. Supplementing with a product like Neo40 may help restore healthy levels of this essential molecule. In addition to the potential of positive effects on our cardiovascular system nitric oxide may also improve immune function, brain health, metabolism, nutrient absorption and sexual health. If you have any questions about the products mentioned above please stop by and talk to your Annie’s pharmacist. We look forward to helping you on your journey to a healthier you.